[SatNews] AEi Systems has completed electrical stress & derating, reliability, failure mode, and worst case circuit analyses for PerkinElmer’s Rubidium Atomic Frequency Standard (RAFS), a critical portion of the GPS III satellite program. The RAFS passed its critical design review with the assistance of AEi Systems. The Lockheed Martin-led team developing the U.S. Air Force’s next generation Global Positioning System (GPS III) completed the program’s critical design review on August 20, 2010, two months ahead of schedule, and is now proceeding rapidly in the program’s manufacturing phase. The first launch of a GPS III satellite, which will provide significant improvements over current satellites, is scheduled for 2014 from Cape Canaveral Air Force Station in Florida. GPS III will improve position, navigation and timing services and provide advanced anti-jam capabilities yielding superior system security, accuracy and reliability for more than 750 million users around the globe. The RAFS is a critical portion of the GPSIII program because GPS satellite technology is inherently dependent on the availability of an extremely accurate and highly stable onboard frequency source. 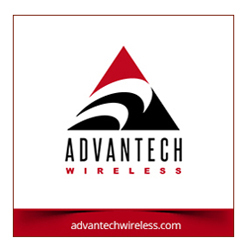 WCCA is performed to improve design reliability and to establish that a product’s performance has a design capable of meeting its specifications throughout its entire operational life. 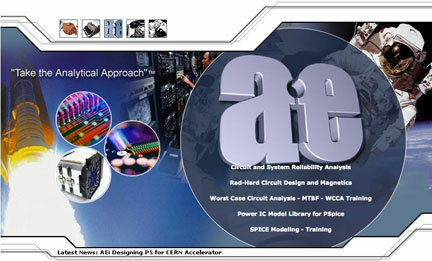 In addition to WCCA, AEi Systems specializes in circuit stress and derating analysis, failure mode effects criticality analysis (FMECA), reliability/mean time between failures (MTBF) analysis, and SPICE modeling, especially in the area of power systems and devices for applications in the medical, military, space, nuclear, and other industries where high reliability is required.